Winter has finally landed and that means more time spent indoors away from the elements. 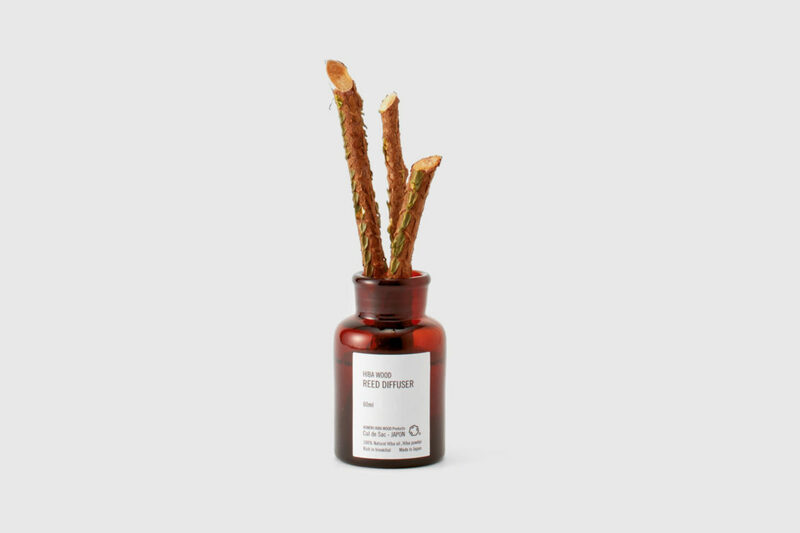 So this felt like a good time to introduce a new brand from Japan that produces a range of essential oils and products based on the highly prized wood from Hiba trees (lesser known relative of the Hinoki tree). 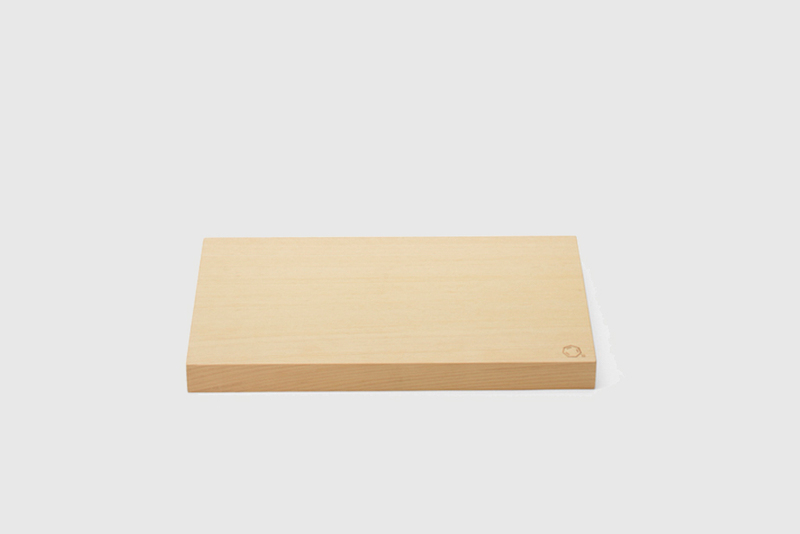 Aomori Hiba is a slow-growing, cypress tree, the wood from which is revered in Japan. 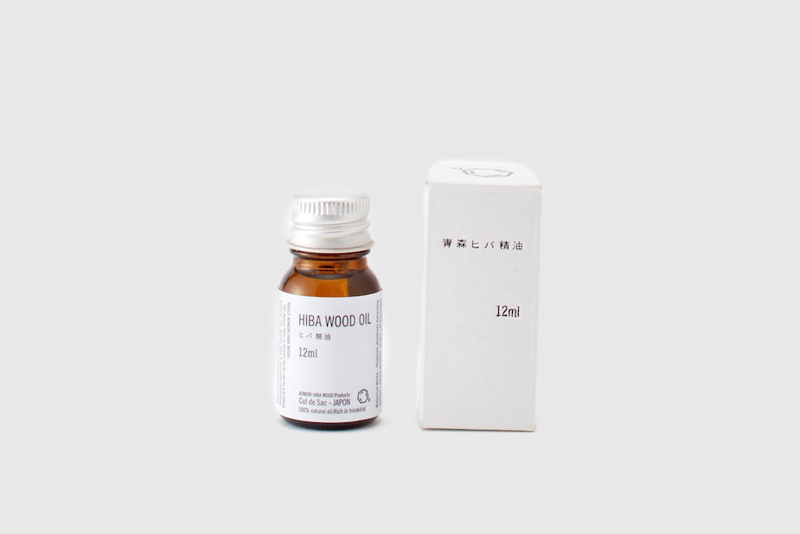 It has been used in the construction of temples and important buildings throughout Japan for centuries and is famed for its naturally antiseptic, water-resistant and insect-repelling properties, as well as its calming aroma. 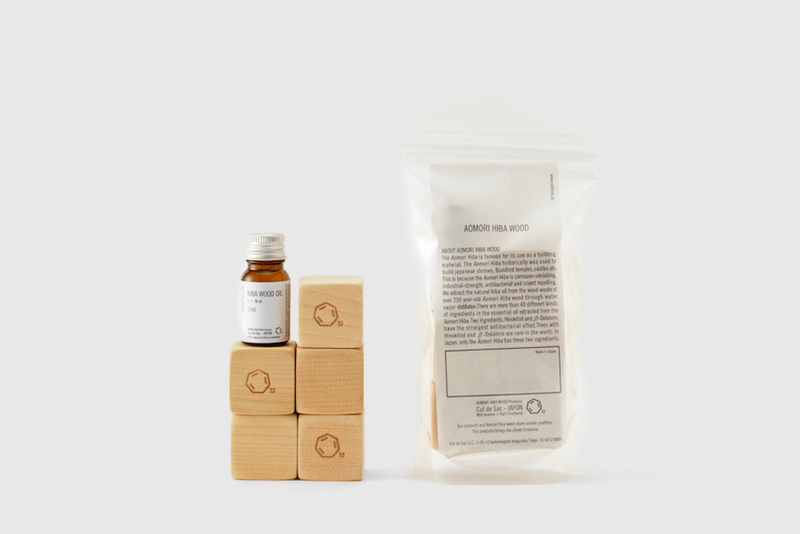 Since 2015, from its store in Nakameguro, Tokyo, Cul de Sac has been creating a range of products derived from Hiba wood, including their signature essential oils and mists. The wood used to create the products are a by-product from the family timber business so despite the fact that the trees are highly protected, the business is sustainable by nature. We’ve brought over a small number of products from their range that we like and use ourselves. The wood blocks are great to use around the house for their aroma, the shoe inserts will ward off any unwanted smells and the chopping board is a beautiful and functional kitchen luxury. 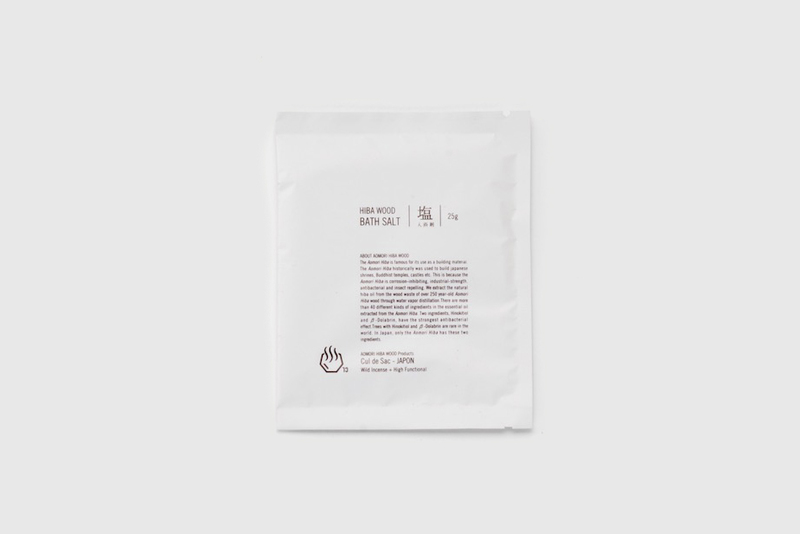 Or just fill a bath with hot water, add a sachet of salts and enjoy a good soak. Winter isnt so bad.